Earth As Hot as 3 Million Years Ago? 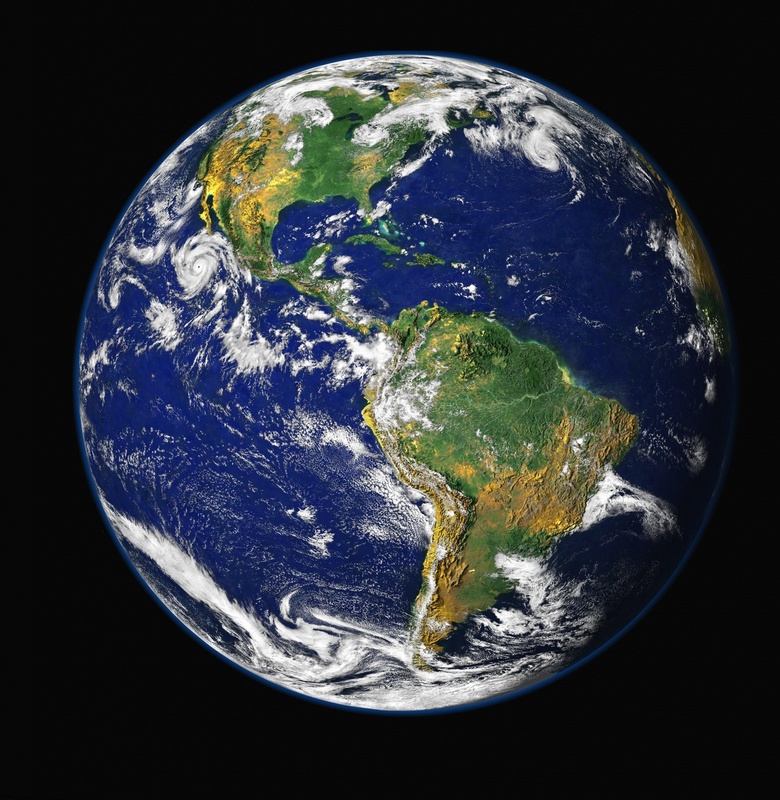 UW researchers say earth could be as hot as Pliocene period by 2030s. Earth. Photo is in the Public Domain. University of Wisconsin researchers say the Earth’s climate could warm to temperatures seen up to 50 million years ago. A study published in the journal Proceedings of the National Academy of Sciences suggests greenhouse gas emissions could reverse millions of years of global cooling in less than two centuries if left unchecked. The study evaluated a range of outcomes based on projections for future climate that were used in a report released in October by a United Nations panel on climate change. Researchers examined what the Earth’s climate may look like with greenhouse gas emissions around 550 parts per million of carbon dioxide in the atmosphere by 2100. The world has already surpassed 400 parts per million. By 2030 or 2040, Earth’s climate could feel much like it did 3 million years ago during the Pliocene period. The study’s lead author Kevin Burke, a PhD candidate with the Nelson Institute for Environmental Studies at UW-Madison, said global surface temperatures were about 2 to 4 degrees Celsius (roughly 3 to 7 degrees Fahrenheit) warmer than now at that time. “We would expect to see reduced ice cover, the loss of major ice sheets in places like Greenland and a secondary effect of that would be rising seas levels,” Burke said. This animation shows climate change projections based on the higher end of greenhouse gas emissions at 1,000 parts per million from 2020 to 2280 that are derived from historical data. Animation by Jack Williams and Kevin Burke/UW-Madison Nelson Institute for Center for Climate Research. During the Pliocene period, the world saw sea levels at least 60 feet higher than now, which could spell changes for coastlines in the future. “There would be a lot more deciduous forests, more grasslands and you could sort of expect to see more of those warmer types of ecosystems pushed further towards the polar regions as those are the areas that would continue to be warmer than present,” Burke said. This animation shows climate change projections based on the lower end of greenhouse gas emissions at 550 parts per million from 2020 to 2280 that are derived from historical data. Animation by Jack Williams and Kevin Burke/UW-Madison Nelson Institute for Center for Climate Research. If greenhouse gas emissions are allowed to more than double over the next century, the world could look like it did nearly 50 million years ago during the Eocene period. At that time, animals that exist now like whales and horses were just beginning to evolve, said the study’s co-author Jack Williams, a geography professor at UW-Madison. However, Williams said that doesn’t mean ice sheets would melt away tomorrow or in the next couple of decades. Yet, both he and Burke said climate change is accelerating over a period of decades and centuries rather than thousands of years. Williams added Wisconsin’s ecosystems would experience dramatic changes and some northern species may possibly go extinct. Even so, Burke said curbing emissions now could restrict future warming to 2 to 3 degrees Celsius over the next century. 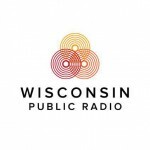 Mercury Rising: Researchers Say Temperatures Warming To Levels Seen 3M Years Ago was originally published by Wisconsin Public Radio. There may be another way to look at this issue and the failure – until now – to take effective action. It starts with the core assumption that there is no real debate about the fundamentals of climate change: It poses an enormous threat to civilization and many species; it is caused by human activity that releases carbon into the atmosphere; the transition away from a fossil fuel/use and a used and discard economy will not be easy; and, finally, powerful interests, especially the fossil fuel industry, have known about these dangers for decades and spent vast amounts of money to discredit valid scientific findings and buy political influence to prevent any action that would affect shareholder value and executive compensation. If you accept these assumptions, here is an analogy. Someone plants a bomb that will go off at some point in the future and has lots of accomplices who benefit from creating distractions and not holding him responsible. Is this person a criminal? If the answer is “yes,” the fossil fuel companies, their lobbyists, think tanks like The Heartland Institute, their media allies and the politicians who are in their pockets are all guilty of crimes against humanity. They are preventing us from defusing the bomb. They have all counted on two things: first, that, as they say, “IBG/YBG,” I’ll be gone/you’ll be gone; and, second, that whatever happens, people will have short memories. We should make sure that this doesn’t happen and should keep lists of those who have materially contributed to the calamity that is now unfolding; and we should also remember the various trolls and know-nothings who have actively worked to create doubt about what is happening. Maybe they should be seen as un-indicted co-conspirators.